Exciting times here at Stokke as we build up to our new product launch. There's been much speculation and guessing about what we have up our sleeves and you honestly don't have much longer to wait until our big reveal. 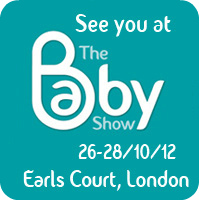 If you'd like to see the Stokke range in it's entirety then you HAVE to come along to The Baby Show at Earl's Court from 26th-28th October. The whole team will be there and I can confirm that we will have our new products for you to see and try. Book your tickets online for the best deals. See you there!